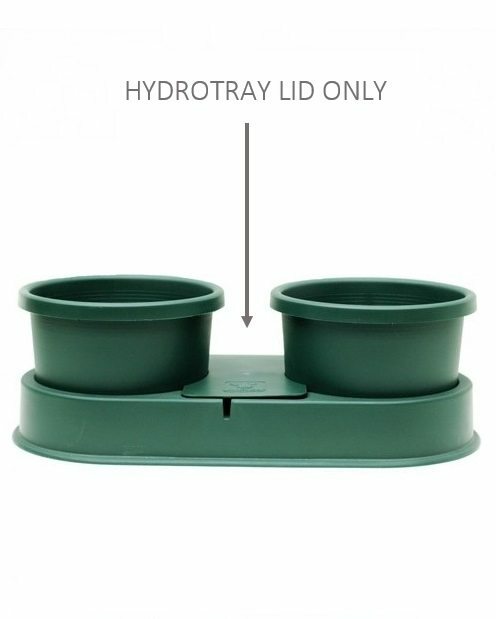 This product is designed for plants that do not like wet feet or for use when there is too much rain when grown outside. The idea is simple - it lifts the bottom of the pots by 25mm (which is just about the maximum level set by the Smart-valves) and yet water supply to the pot plant is being maintained by the wicking action of the mat attached to the foam unit. The foam pads also displace the water from the Hydrotray by as much as 80% which means there is quicker water change in the tray. It is vital to soak the foam pad with water before use, otherwise it may not draw water properly. Some growing soils work better than others. 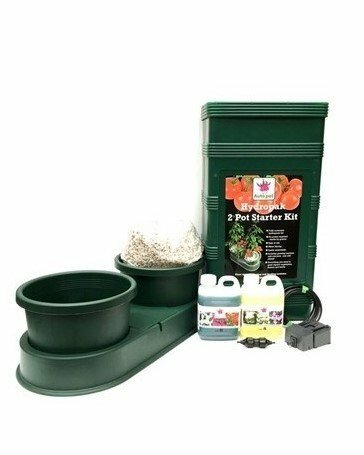 The best bet is to use potting mix and/or perlite/vermiculite mix. Loose growing soils such as 100% perlite are not so suitable as they do not conduct water properly through the felt mat. 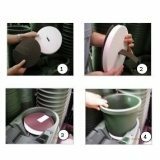 You can stack more than one pad if you wish to give your plant a dryer condition. 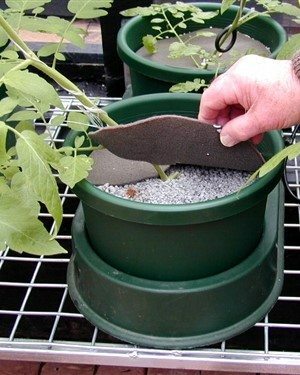 The 10″ Foam Elevation Pad is designed for plants that do not like wet feet. For use when there is too much rain when grown outside. The idea is simple. All this product does is to lift the bottom of the pots by 25mm (which is just about the maximum level set by the Smart-valves) and yet water supply to the pot plant is being maintained by the wicking action of the mat attached to the foam unit. The foam pads also displace the water from the hydrotray by as much as 80% which means there is quicker water change in the tray. 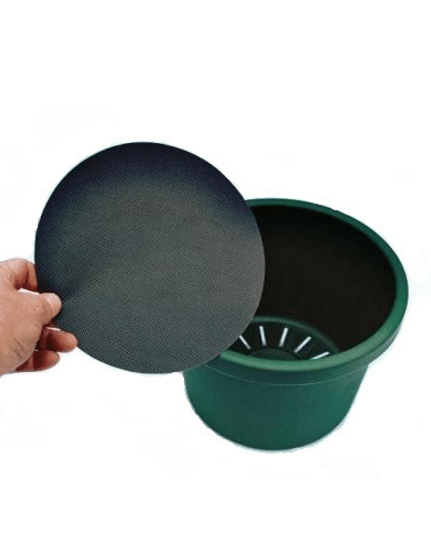 Suitable for both 10″ double hydrotrays or the 12″ single hydrotrays (ensure your 12″ pot has holes at the base in order to contact the foam pad – if not, you will need to drill some holes for water transmission). Installation is easy. Step 1 & 2, insert the strip of mat through the centre slot of the foam piece. Step 3 – Soak the foam pad in water before placing it into the hydrotray as shown. Step 4 – Sit the pot directly on the foam pad. 1. It is vital to soak the foam pad with water before use. Otherwise it may not draw water properly. 2. Some growing media work better than others. The best bet is to use potting mix or perlite/vermiculite mix. 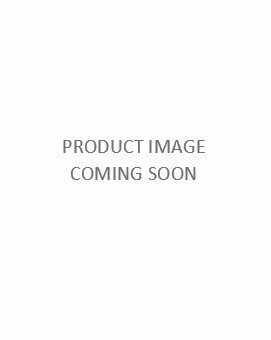 Loose growing media such as 100% perlite or scoria are not suitable as they do not conduct water properly through the felt mat. 3. 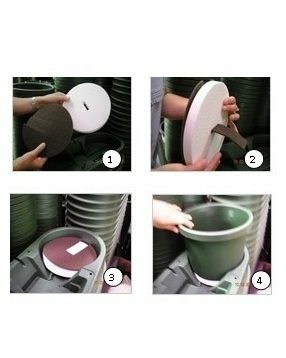 You can stack more than one pad if you wish to give your plant a dryer condition.